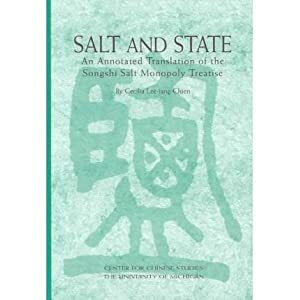 A few days ago the Chinese government announced that it will put an end to what is perhaps the oldest monopoly in the world, that of salt, which has been in force for well over 2,000 years (see here). As of 2016 salt prices will be liberalized in China, and in 2017 the government will commence to grant new licences to operate in the market. Many citizens have expressed their reluctance to see the salt monopoly go (see here). Interestingly, salt monopolies also played a key role in other parts of the world, as, btw, did salt taxes (with the British salt tax in India eventually leading to Gandhi’s Salt March or Salt Satyagraha in 1930 and the French “Gabelle” contributing to the uprise that became the French Revolution). Salt is not the only monopoly that has had a transforming impact in history; think of the East India Company or the Casa de Contratacion (among many others). I started reading about all this stuff almost by accident, and then spent part of Sunday evening reading a bit more with the idea to write a post on the role of monopolies in history. On a second thought, that’s too ambitious a goal, but the subject is -I think- fascinating. If any of you knows of any books or studies that touch on the role of monopolies in history, please send them my way and we’ll give them due publicity here. You are a real geek, Alfonso… There is an interesting book published in the 30’s called “Industrial Germany: A study of its Monopoly Organisations and their Control by the State”, by Hermann Levy. Quite useful to understand where do we come from in the EU. Congratulations for this refreshingly geeky insight on the role of monopolies in history, and why, how and when it was that monopolies were perceived to be harmful. For an earlier Western reflection beyond the Sherman Act, just refer to Darcy vs. Allin, when a court in Elizabethan England ruled for the first time that the Crown had not the right to limit the economic freedom of its subjects by granting monopolies (in that case, for playng cards). And for an even earlier sample, refer to the surprisingly modern Title 59 of the Book VI of the Justinian´s Code, that prohibited public and private monopolies upon penalty for the monopolist “of being deprived of all his property and sentenced to perpetual exile” (10 point for deterrent effect). Alfonso, look also at ”The world that trade created” by Kenneth Pomeranz and Steven Topik, M.E. Sharpe, New York, 2006.